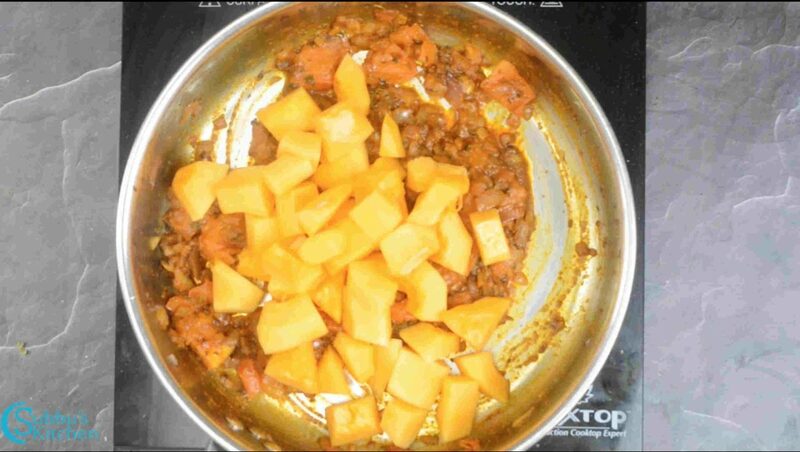 I got fresh Butternut Squash from market and I was tempted to do this delicious curry. 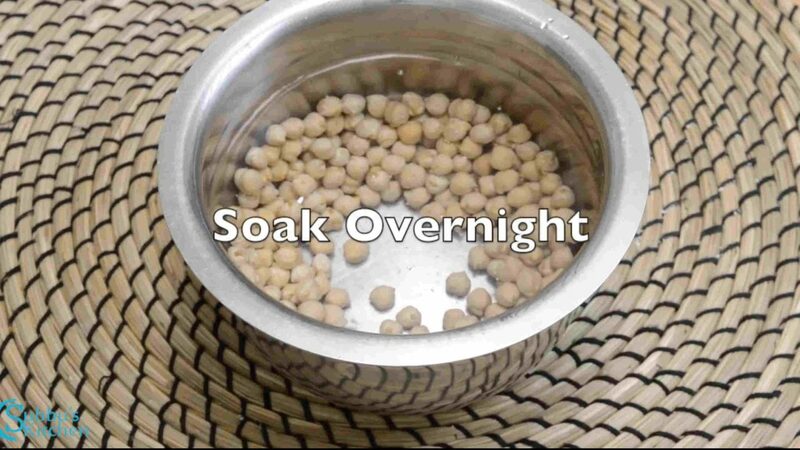 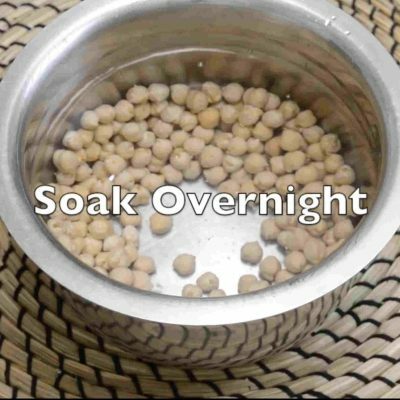 So I decided to soak the chickpeas overnight and got started the next day. 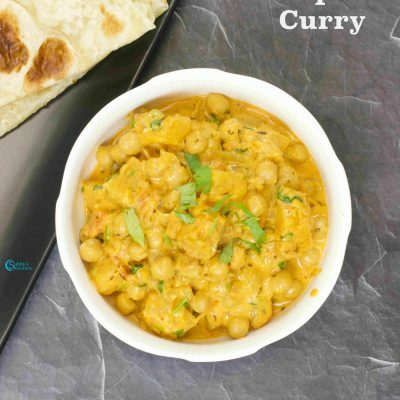 Generally this curry is made with Butternut Squash, chickpeas and spinach. 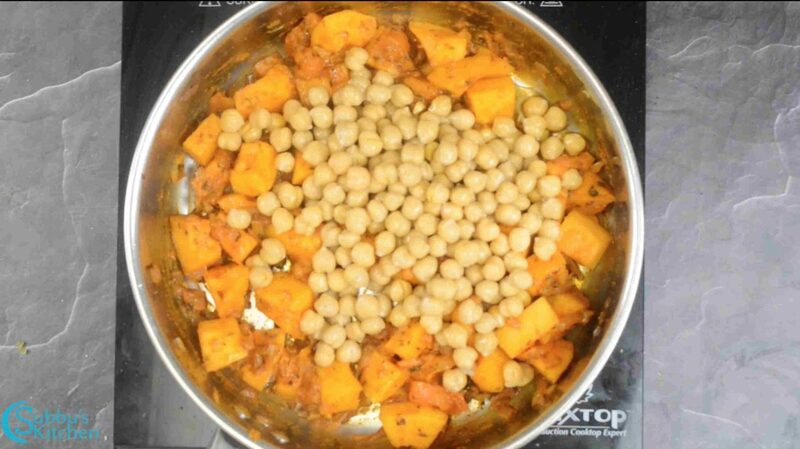 But my spinach was not so fresh so I decided to skip spinach and used only Butternut Squash and Chickpeas. 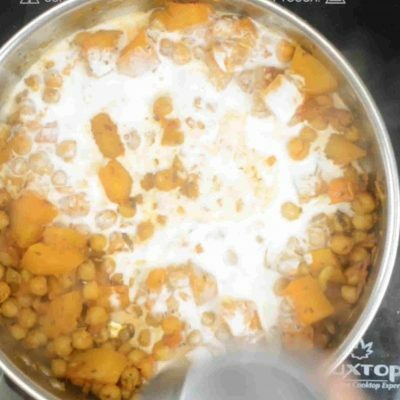 Bring an exotic taste with this totally vegetarian Butternut Squash Chickpea Curry. 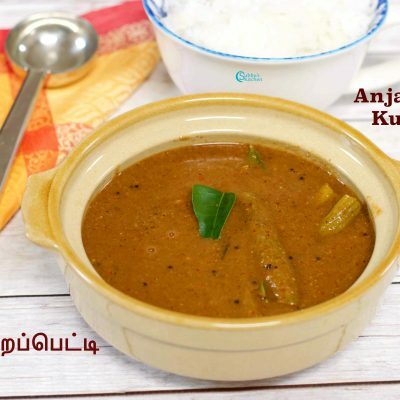 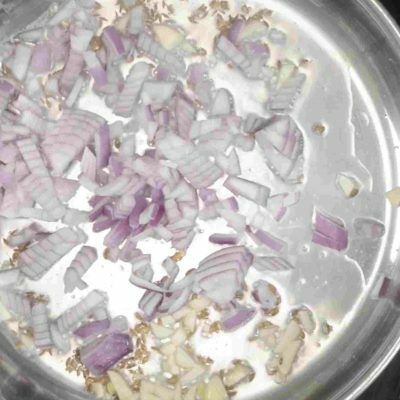 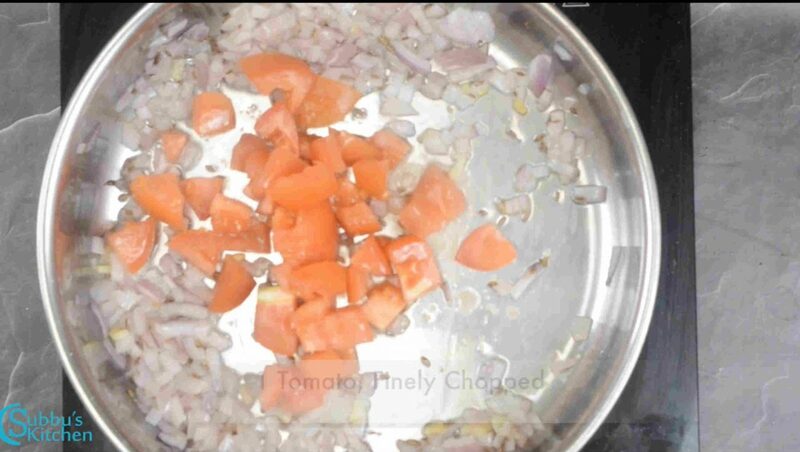 Would be a perfect mix for hot steaming rice or an accompaniment for Roti/naan. 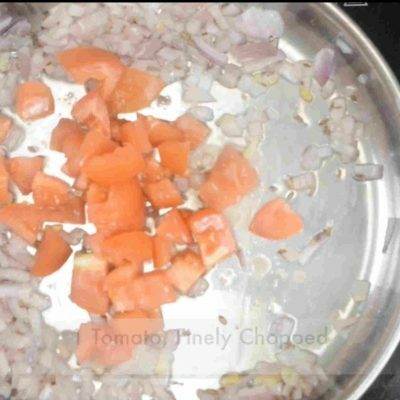 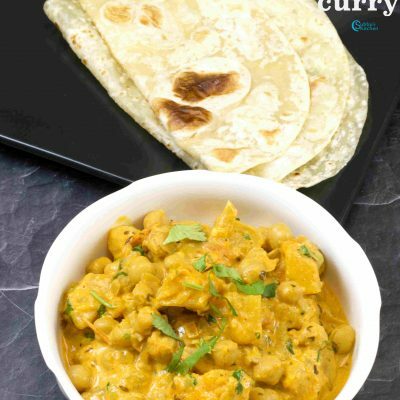 We just need to plan a little to make this scrumptious curry. 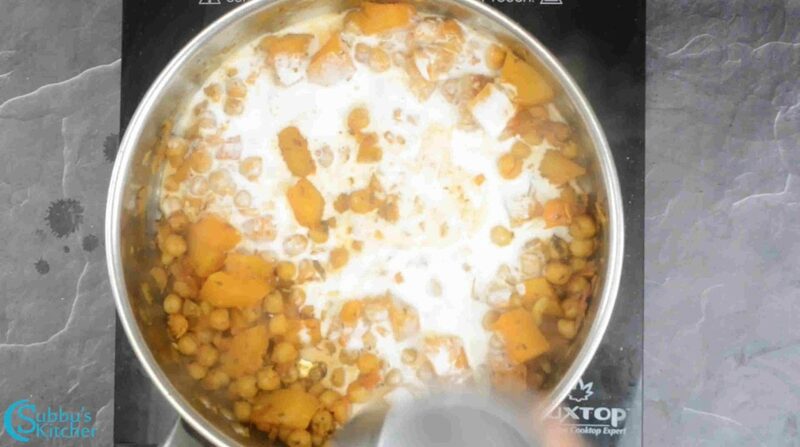 Chickpeas has to be soaked overnight, a day before and has to be cooked before starting to make this curry. 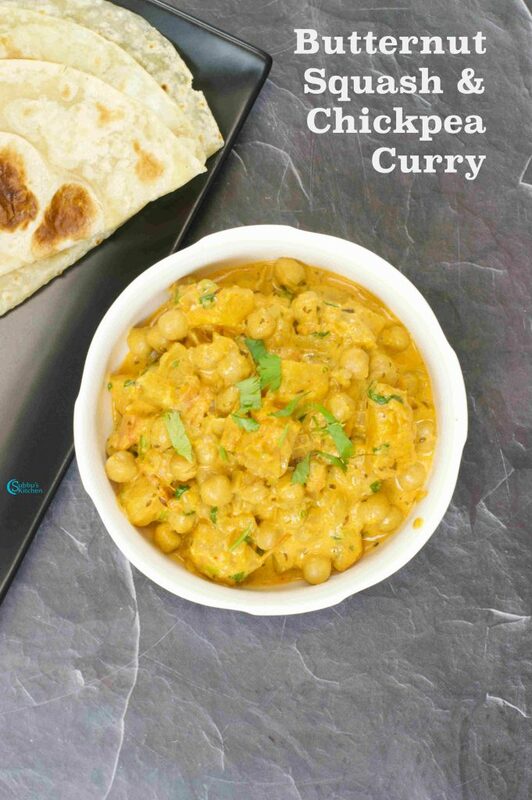 We can use store-bought chickpeas tin that would make this whole curry very easily and quickly but I prefer soaking dry chickpeas and cooking the chickpeas. 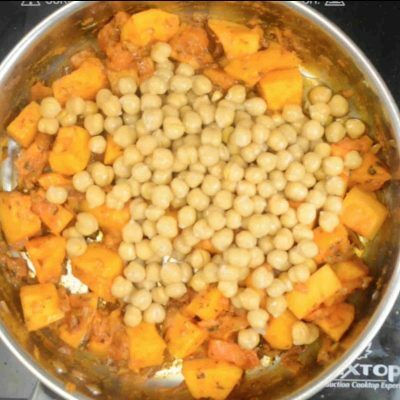 Because canned food items has preservatives so I prefer to cook chickpeas at home. 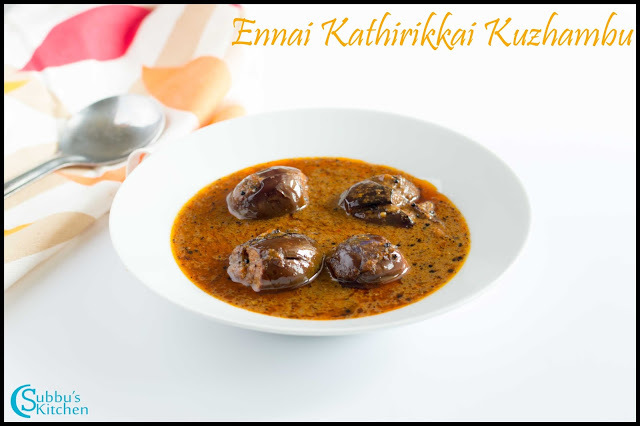 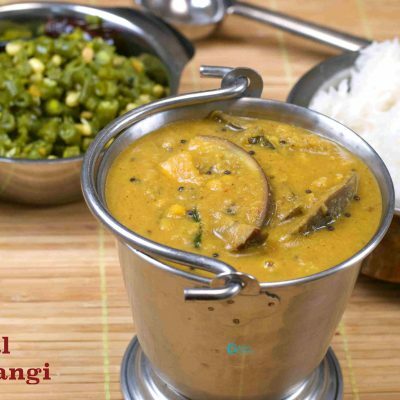 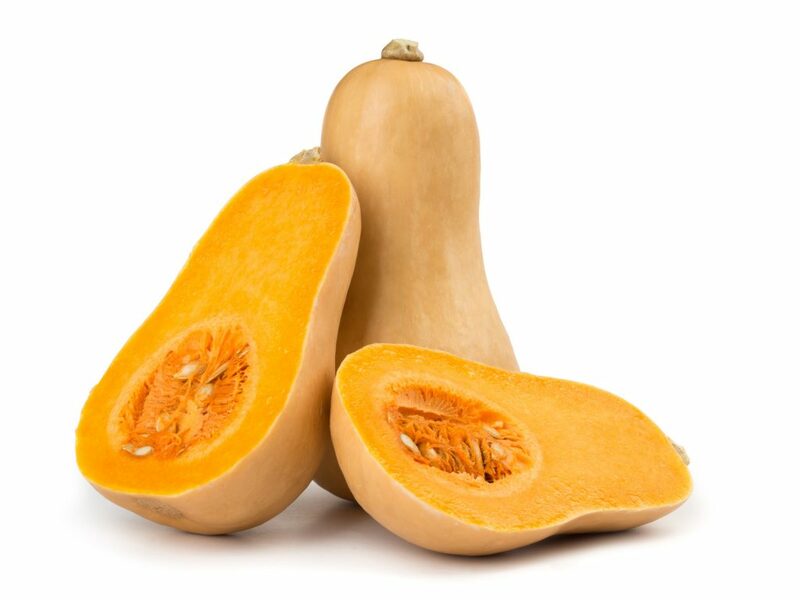 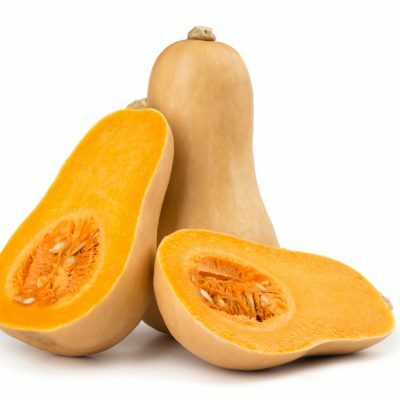 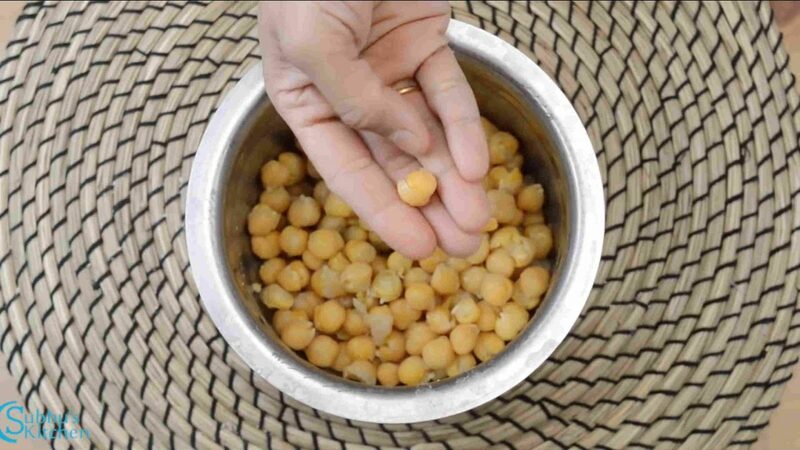 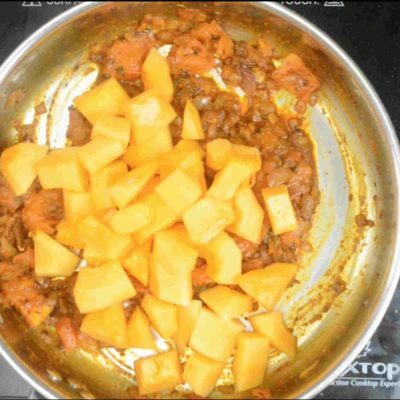 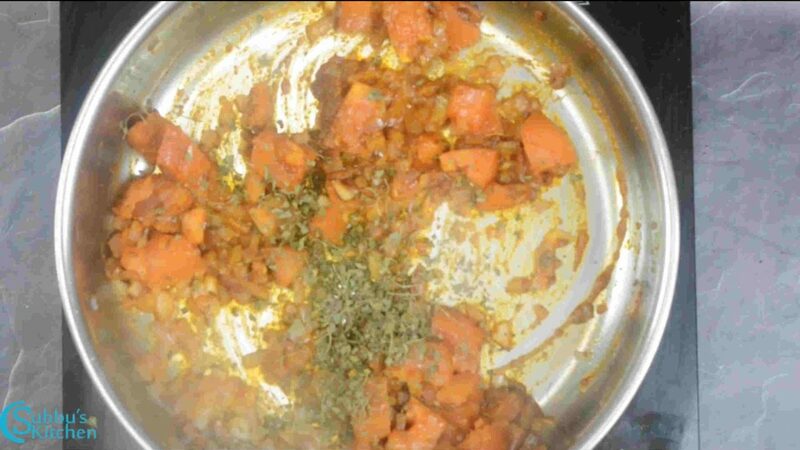 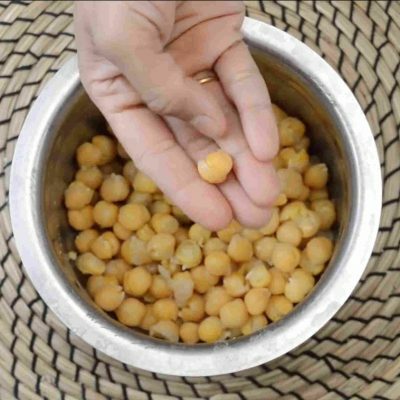 We are going to enrich the Butternut Squash Chickpea Curry (kaddu Chole Subzi) with coconut milk. 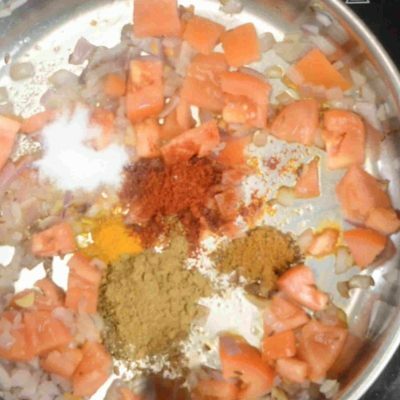 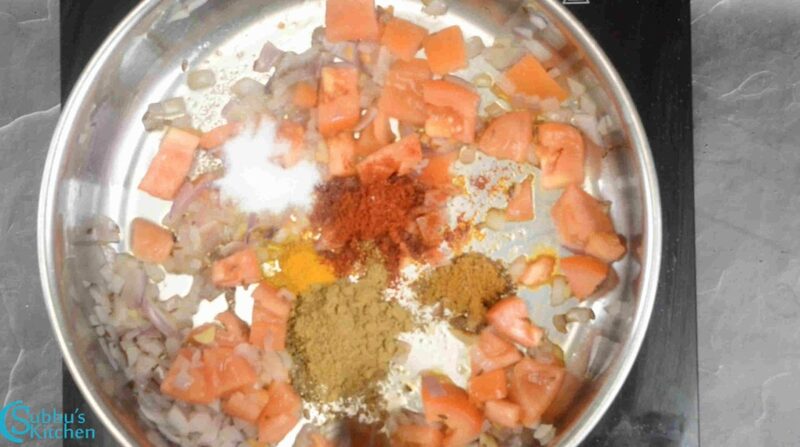 For Korma / kurma, we usually grind coconut with all spices and add it to the curry. 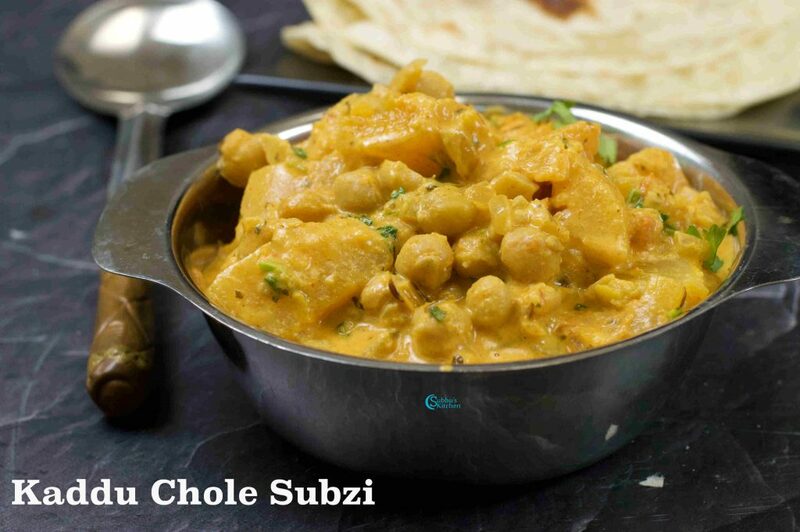 But, here, in this yummy subzi, we are going to add coconut milk instead of grinding coconut with spices. 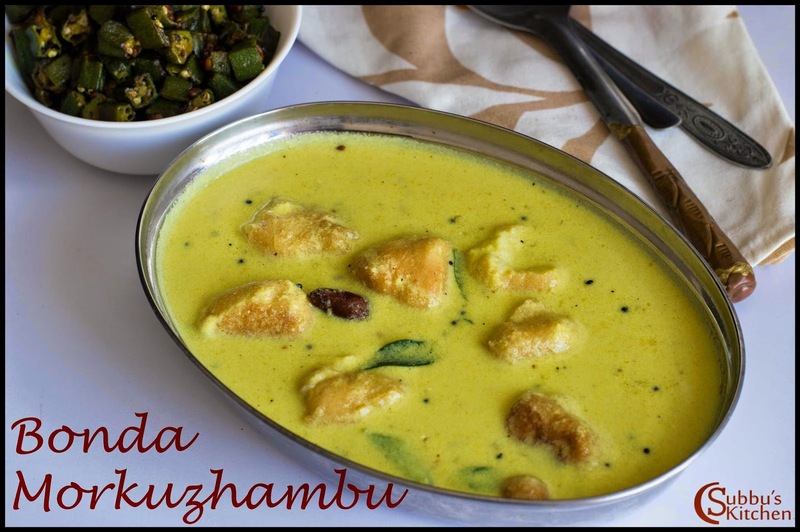 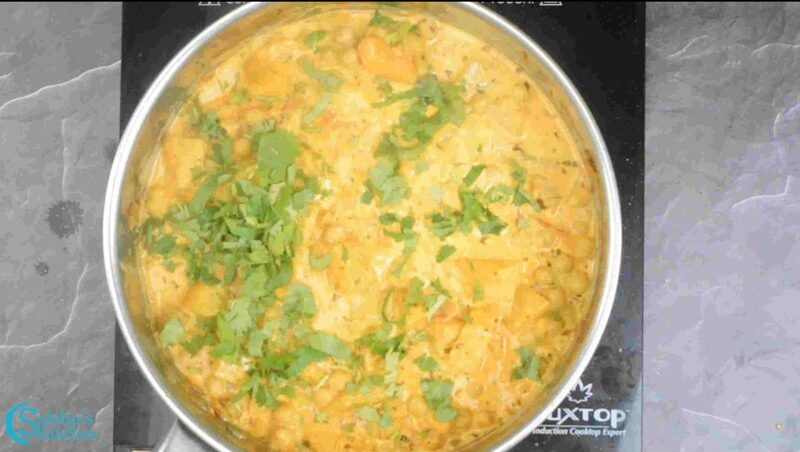 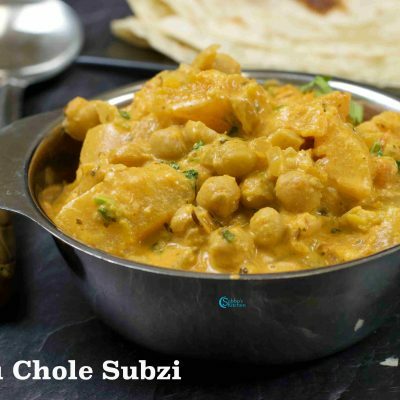 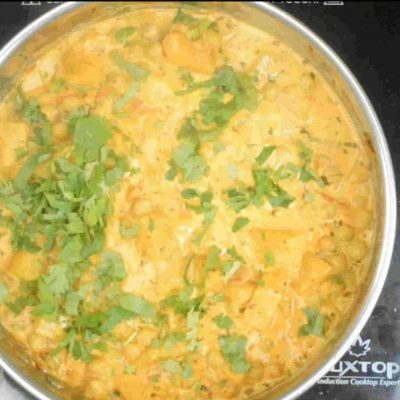 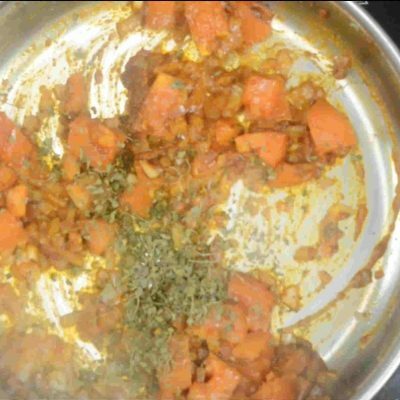 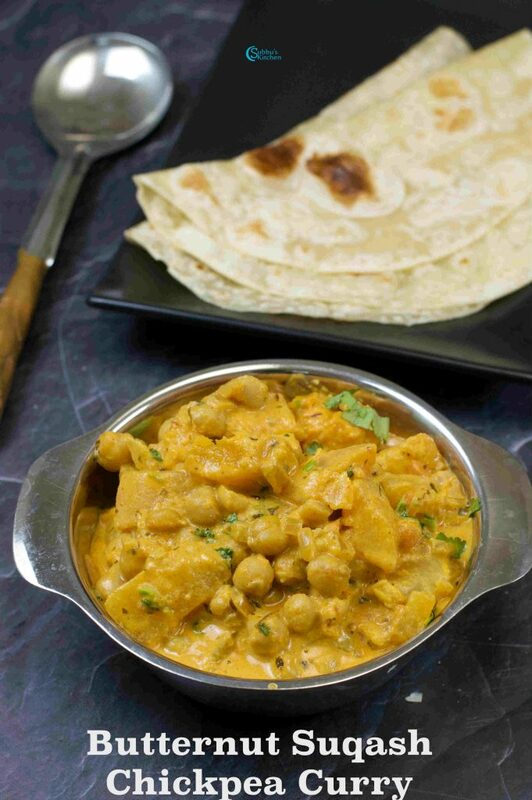 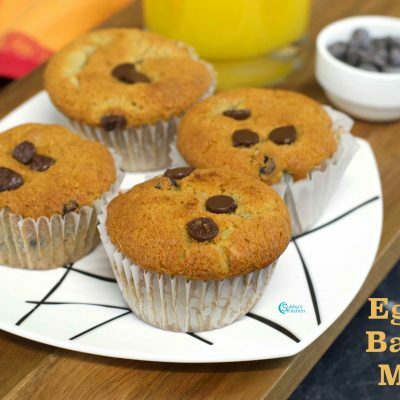 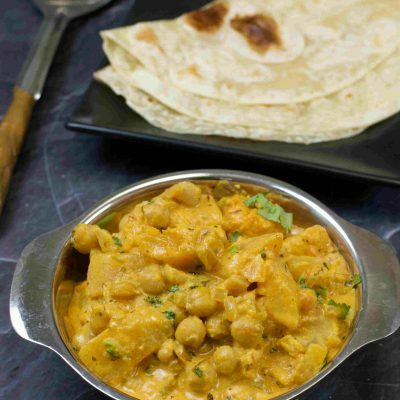 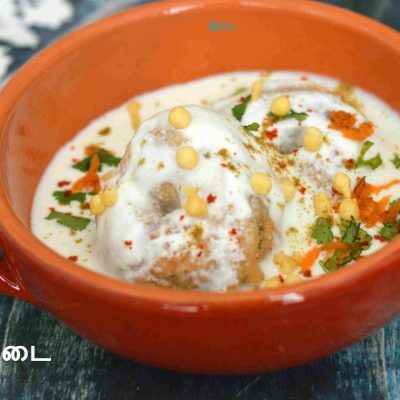 This subzi is mild and kids would love the delicious flavor of coconut milk along with butternut squash and chickpeas. 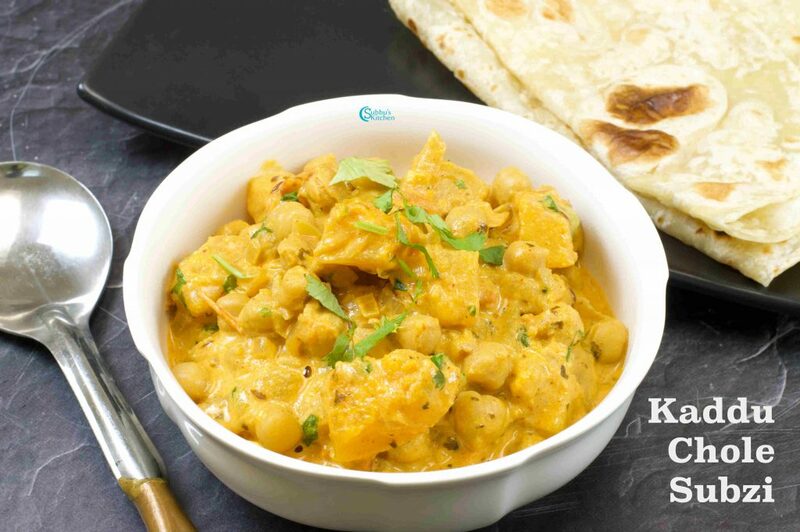 I served this yummy Butternut Squash Chickpea Curry with Roti and my kids loved and devoured this scrumptious curry. 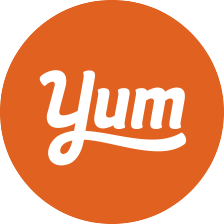 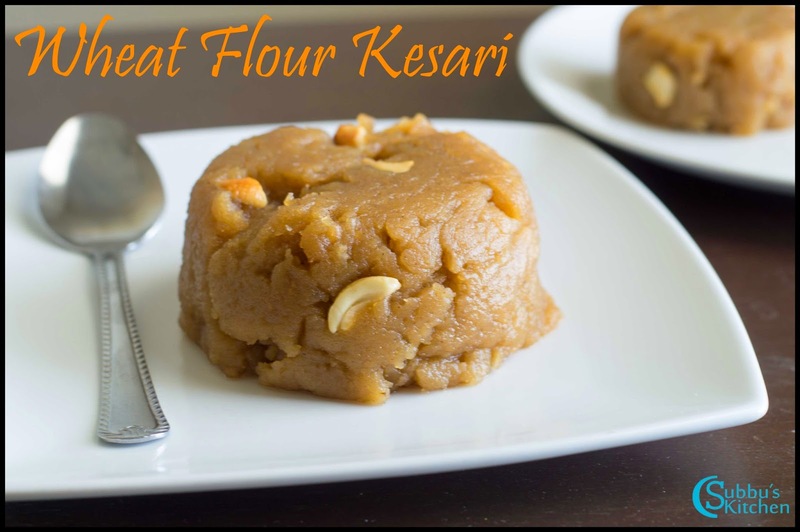 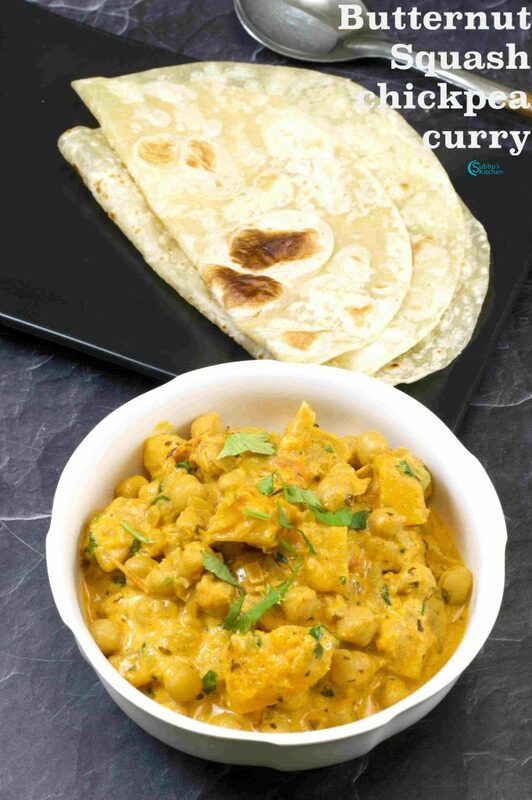 You can also try other Curries and Gravies that would be a great accompaniment for Roti / Naan or any Indian Breads! 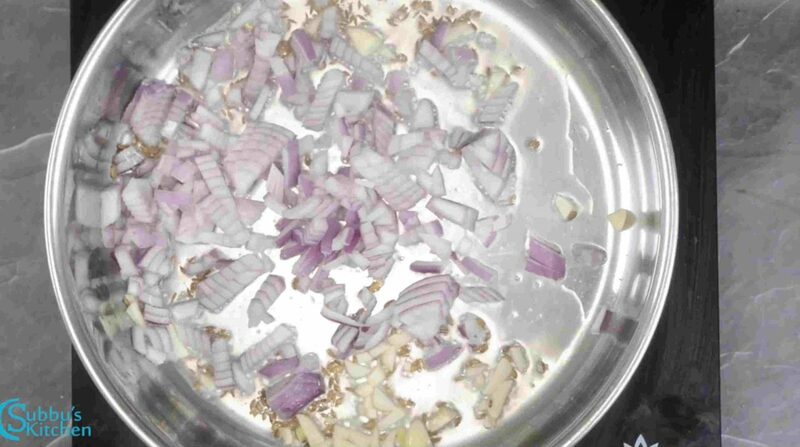 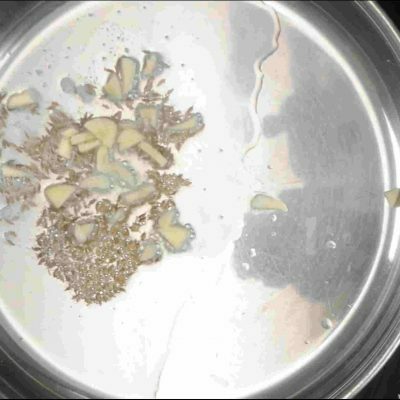 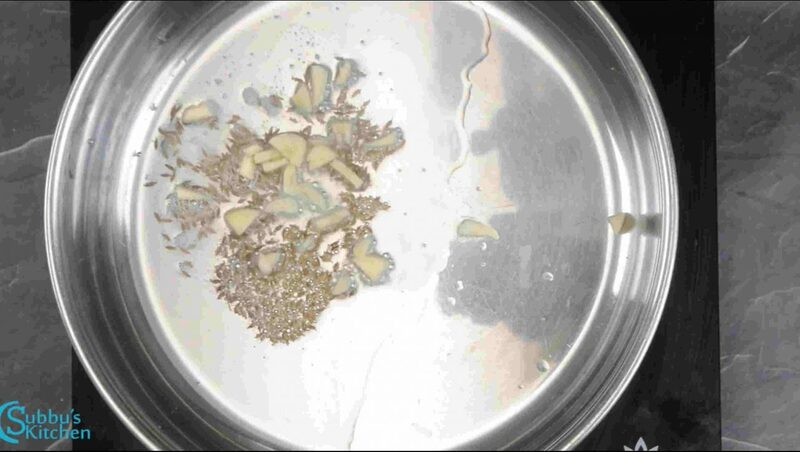 I freshly grate 1/2 coconut and added it to mixer jar along with 1/2 cup of warm water and grind it to a fine paste and then squeeze it to get coconut milk. 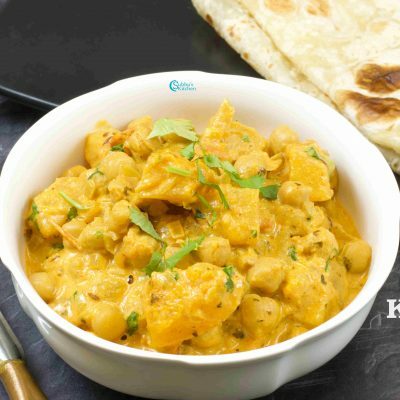 Serve the delicious Butternut Squash Chickpea Curry | Kaddu Chole Subzi with roti / Naan and devour!